This guide is a bit outdated with respect to the sweeper and new dark spells; we plan on refreshing it with new videos over the coming months. Many of the core ideas discussed below are still relevant regardless of these new updates though. This guide is an attempt to organize all available information about Dragon attacks during Trophy push and Clan Wars. A more detailed analysis (with images) of the initial deployment. Expansion of techniques and attack styles mentioned. 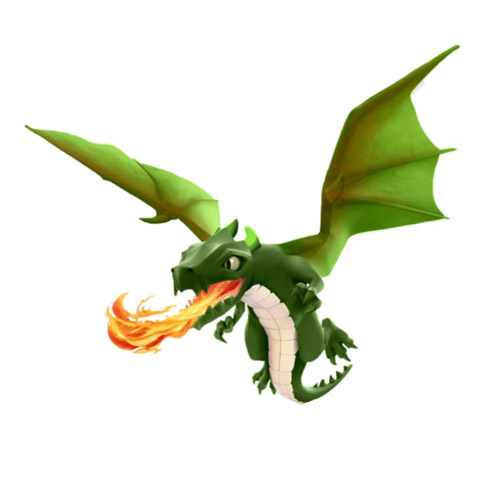 12 Jan 2015: Just added an awesome new replay of level 1 dragons 3-starring a TH8 with maxed air defenses in the Overview section of the guide. 11 Jan 2015: War base analysis section added with a new replay and several images included. Part 1 and 2 technique videos condensed into single video each. Reordered placement of several videos in the guide. New TH7 replay added to the rage/heal attack styles section, as well as to the techniques section. There are many dragon guides available out there, yet they all generally seem to offer misleading advice in regards to one aspect or another, as well as all fail to achieve a level of depth necessary for someone to be able to read the guide and then actually dominate (with practice) using the mass dragon attack. Moreover, our clan also seemed to repeat ourselves over and over again in terms of explaining the mechanics of the attack to each new player that joined, so it seemed logical to consolidate all of our ideas into our own original dragon guide. In total, we have included 21 original replays in this guide, which complement the ideas discussed in the following sections. TH7’s and newer TH8’s should focus primarily on learning lightning based attacks and becoming comfortable with the more basic techniques discussed in section four. Mid TH8’s should begin learning the rage/heal style of attack, and should also put more focus on proper funneling with each attack. Seasoned maxed TH8’s would benefit from the variety of replays included, as well as from some of the more advanced techniques covered in the guide. Regarding dragon attacks in war, our clan expects its members to always be able to 3-star any TH7, even when only using lvl1 dragons. Please watch the following video by OneHive Raids if you are not confident that you can 3-star any TH7 base with dragons; we will use the level of play in this video as the starting point for our guide.